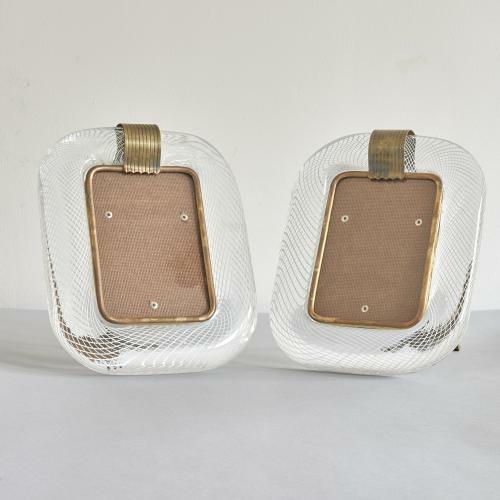 Pair of Venini glass photo frames. The glass, called "tessuto" (fabric), was designed by Carlo Scarpa and exhibited for thr first time at Biennale di Venezia in 1932. Italy, Murano 1950's. Stamped "Venini Murano" on the back.